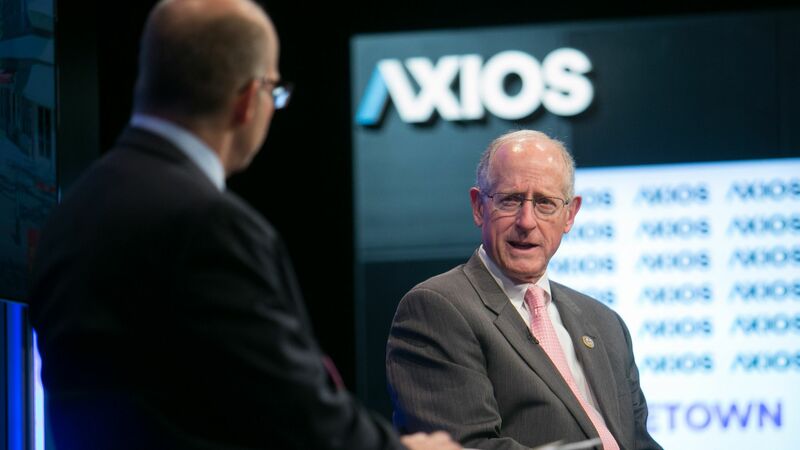 Rep. Mike Conaway (R-TX) dismissed the pushback he's been getting on the farm bill during an Axios event in Washington, asserting that there's "no reason" Congress shouldn't get the bill done by the Sept. 30 expiration date and that it's "too important not to." The state of play: Within the next couple weeks, Conaway expects both the House and the Senate to go to committee to hash out the bill's language. He defended cuts to the food stamp program (SNAP) by calling hunger and homelessness "symptoms," arguing that redirecting the money for people who shouldn't be on SNAP toward job training programs, apprenticeships and subsidized employment will do more to get at the "root cause" of the problem. "I need the 70% of Democrats and the 90% of Republicans who believe that work requirements are a proper thing to tell their senators that it makes a lot of sense outside the Beltway...We have 75 days left. I'm driven to get this done. "